For a place that would become the site of two huge milestones in our life together, Lake O’Hara was giving us a rough first impression. After piling into a yellow school bus with a few dozen other eager campers, we were driven seven miles into the backcountry; as we were ushered off the bus into the chilly subalpine air, the skies opened up, sending everyone scurrying for cover from the rain. With no shelter in sight, though, we had to move quickly to set up our campsites instead—soaking most of our belongings in the process. Dan and I spent the next twenty minutes carefully wiping down the inside of our tent with a flimsy backpacking towel, shivering and cursing under our breath. 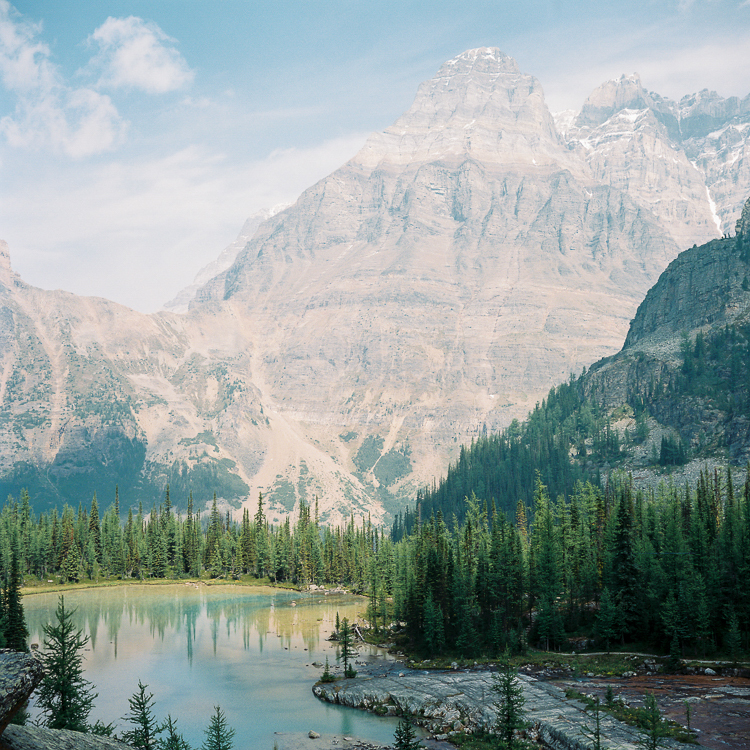 A week earlier, we’d been absolutely thrilled to get an opportunity to visit Lake O’Hara—and once we dried off a little, we’d regain that giddy feeling, reminded of the fact that we were pretty damn lucky to be there at all. 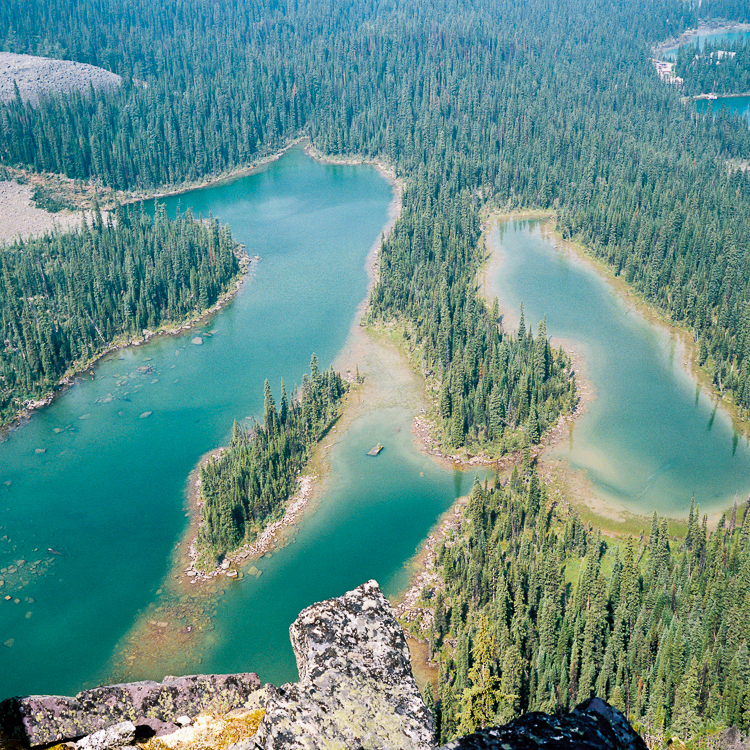 Lake O’Hara operates on a very strict quota system, limiting the number of day-use visitors and overnight campers who can be bussed in. 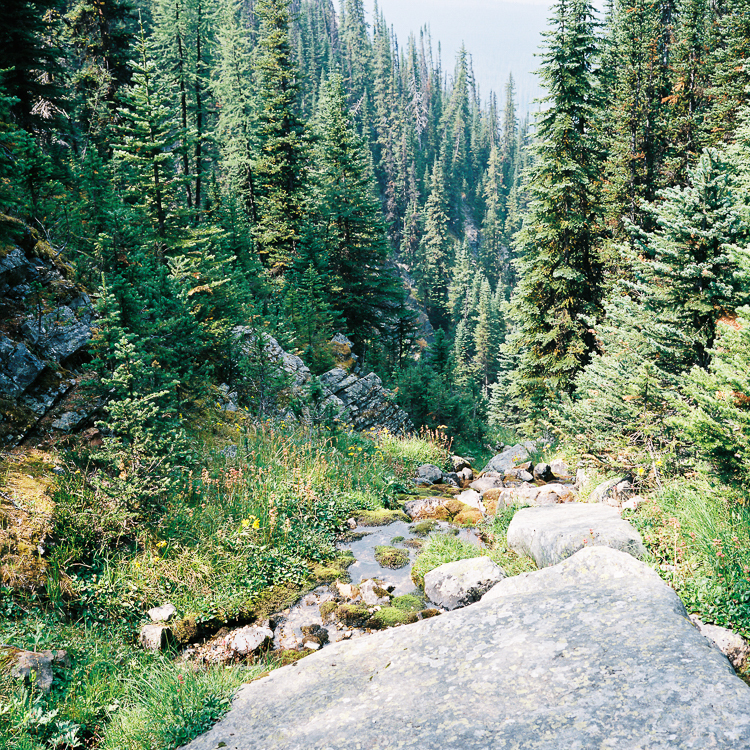 There’s a reason it’s so popular: as some of the most pristine backcountry in the Canadian Rockies, it boasts beautifully-maintained trails, jaw-dropping views, and almost complete solitude. We’d snagged our bus tickets and a one-night campsite reservation one week beforehand, when someone else cancelled and we, miraculously, happened to be refreshing the park’s website at the exact right moment. And that, my friends, is how we gained admission to the awe-inspiring place where we got engaged. Last summer, wildfires were raging across British Columbia, filling the sky with clouds of smoke. On the morning we hiked to Opabin Prospect, though, the winds changed, mercifully sweeping that dark, heavy air to another section of countryside. We shared a trail lunch on a broad, flat rock perched above a network of glittering blue lakes, after which we made the decision to spend the rest of our lives together. It’s been almost a year since our first visit to Lake O’Hara. In the ensuing months, we planned a wedding at San Francisco City Hall, got married (! ), and then returned to Lake O’Hara for our honeymoon. That first lucky visit introduced us to the place that would, eventually, become forever tied into our love story. And honestly, we can’t imagine it any other way.